There are many speculations around this famous archaeological site which is situated in the Honduran forest. Some believe that it is the famous “City of the Monkey God” while others claim that is the legendary Honduran “White City”. The truth however is that up to now, scientists despite all their technology, knowledge and laser mapping tools cannot unequivocally determined to which civilisation the settlement belongs. The only certain thing about the site is that it houses an abundance of giant statues, irrigation channels and edifices. The exact location of the Honduran “Lost City” is kept in secret and the settlement is under the protection of the local military in order to prevent looting and unwanted damages. The South American country of Peru is home to a number of world famous archaeological sites and the Nazca Lines is one of them. Just like the Honduran “Lost City” they are the subject of many theories but most scientists agree around the hypothesis that they were created for religious purposes. The Nazca Lines were created between 500 BC and 500 AD and were re-discovered in 1927 by local archaeologist Toribio Mejia Xesspe while he was hiking through the nearby foothills. 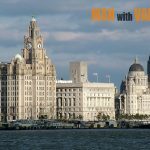 Some of the lines are shaped to depict animals such as a dog, monkey, whale, spider, humming bird and more, and can stretch from 200 metres to the mind blowing 9 kilometres. Along with the 15th century Inca citadel of Machu Picchu, the Nazca Lines are beyond any doubts Peru’s most visited and well-known places of interest. Derinkuyu is a subterranean city in the Turkish region of Cappadocia. The oldest sections of the settlement were built by the Phrygians during the 8th and 7th century BC. Derinkuyu was fully formed during the Byzantine era and can house a total of 20.000 people. It was used by the local inhabitants to escape and protect themselves from various dangers such as foreign invaders, natural disasters, religious prosecutions and etc. The city comprises of numerous water channels and air shafts. It is also has chapels, wineries, schools, kitchens and bedrooms. The site has been partially opened for tourist since the late 1960s. 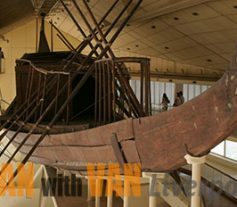 The Knufu Ship is a remarkably well-preserved ancient Egyptian maritime vessels which was discovered in a pit of the Giza pyramid complex by renowned Coptic-Egyptian archaeologist Kamal el-Mallakh in 1954. It was built for Knufu more commonly known as King Cheops, the second pharaoh of the 4th Egyptian Dynasty. 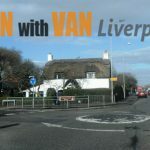 It is approximately 44 metres long and 6 metres wide. 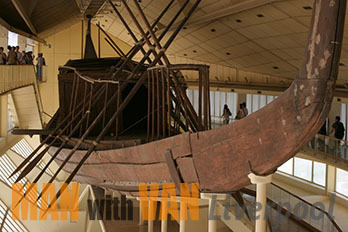 The Knufu Ship is currently displayed as the Giza Solar boat museum and has provided valuable information on how the Egyptian constructed their vessels and their wood artisanship as it is identified by many scholars as a “masterpiece of woodcraft”. The vessel is also recognised as the world’s oldest intact ship as it was constructed around 2.500 BC. 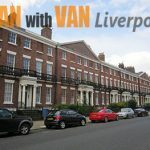 You can learn more about Ancient Egypt and its culture by visiting the World Museum while a team of reliable and well-trained movers in Edge Hill is handling your property removal. The Dead Sea Scrolls are a collection of almost 1.000 different texts which were discovered for a period of ten years (1946 to 1956) in close proximity to the ancient settlement of Khirbet Qumran in modern-day Israel. Written primarily in Hebrew, the scrolls contain records of the local events which occurred from the 3rd century BC to the 2nd century AD. They also hold information about Jesus Christ’s birth, the rise of Christianity, other significant historical events and instructions on how to find more scrolls. Classified as a UNESCO World Heritage Site, the Terracotta Army was discovered by Chinese farmers during the mid-1970s in the Lintong District of Xi`an Shaanxi Province. It comprises of over 8.000 soldier figures of different sizes, horses, chariots, officials, strongmen, dancers and musicians. Each statue has unique facial features. The Terracotta Army was created to protect and serve Emperor Qin Shi in his afterlife. Many archaeologists consider the finding of the terracotta sculptures as the most important archaeological discovery in China. The finding of the Ashurbanipal’s Library in Mosul, Iraq is regarded as one of the most important archaeological discoveries in human history. Records show that the ancient athenaeum was established during the 7th century BC by the order of Ashurbanial the last great king of the Neo-Assyrian Empire. During the excavation works, archaeologists found over 30.000 clay tablets which contained valuable information about several ancient civilisations including the Sumerians, Babylonians and Akkadians. 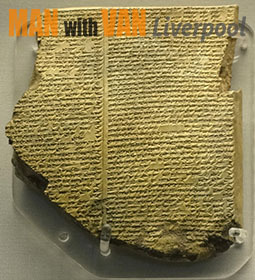 Unfortunately, most of the tablets are deemed as unreadable due to bad handling which further destroyed the already fragile relics.